To become skilled readers, children must have a strong base in phonics. Phonics helps students quickly sound out a word. After enough practice, reading sounds becomes automatic. In 2nd grade, children are expected to read grade-level text about 90% accurately. In other words, if students are stumbling over sounding out words then they will be unable to remember the meaning of the story. An example of a 2nd grade phonics skill would be adding prefixes and suffixes to a word, such as turning the word “heat” into “reheated”. Phonics also involves students learning spelling patterns to help improve their writing. In 2nd grade children are expected to read longer, more complex words and words that are not spelled how they sound. Can Your Child Correct Themselves When Reading? What is Phonics? 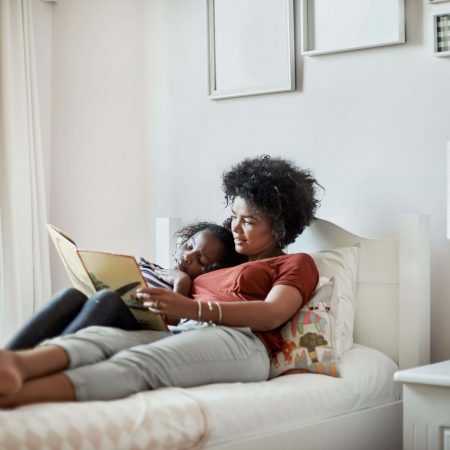 Why Is It Important for My Child to Read? Often parents fall into the thinking: “The school will teach my child everything they need to know! I’ll leave it to them.” Although it may feel better to not carry this burden, the burden will be shifted onto your child. Teachers need you on their team. They need your help practicing reading at home, building your child’s confidence in their work, and giving your child the much needed practice all kids require to be strong readers. How Many Changes Can You Make? Give your child a “base” word, like do. word. For example: undo, redo, doing, doable, done. Prefixes are sets of letters that are added to the beginning of a word. A suffix is added to the end. If your child has a hard time reading long, unfamiliar words, help them out by showing them how to cover up part of the word to break it down into smaller chunks. For example, the word “cabinet”. Cover up the “cabi” part so they can first read “net”. Then cover up “net” so they can read “cab-i”. Now put the sounds together. Remember, we want children to develop a love of reading, so focus on reading the books they enjoy over and over again. Getting the practice and repetition of reading their favorite story will strengthen their reading skills. Draw a simple ladder of two long lines and four rungs on a piece of paper. Using a red crayon write a short word like “ready” on the bottom rung. Then ask your child to think of more words that rhyme with “ready” and write them on each rung, climbing up the ladder using a different color crayon for fun. See how high your ladder will reach! Explain to your child that sometimes two letters will stand together to create one new sound. The “h brothers” join with other letters to make the sounds: sh, ch, th, wh and ph. This can be confusing for kids, so make sure to write an example word and use gestures to help them remember the new letter combination. Practicing phonics can feel tedious, so it’s important to find ways to make it fun, simple and quick. Write three letters on a piece of scrap paper, for example b, n, and t. Have your child say each letter and its sound. Then ask, “What’s the LAST letter you hear in ‘run’?” Give them one point for each word they get right, and encourage them to try to earn five points. 2nd graders are reading more complicated words that contain letter “blends”. A blend is when two or three letters come together to help words begin. 2nd graders are expected to learn the letter blends: str, tr, sw, st , sp, sn, sm, sl, sc, pl, gr, fl, dr, cr, cl, br, and bl. Demonstrate this concept by blending together two or three flavors in a smoothie, such as strawberry, banana and vanilla. If your child feels ready, get them excited to do a “blends” scavenger hunt. Give your child a piece of paper with one blend written on it. Have him or her say the sound the blend makes. Give your child a bag and give them five minutes to find objects that start with the blend that is on the paper. Give clues or suggestions if your child is struggling to identify objects. When time is up review the objects and award a point for each item found. Have your child teach a neighbor or friend for the next round. Children need a lot of practice reading to reinforce phonics skills, so make a point to listen to them read every day. Use phonics games to help build kids’ “decoding” or sounding out skills. This will make your child a stronger and faster reader.